[description] => The actor in an interview with Malayalam Cinema, was asked whether a separate collective for women is necessary in Malayalam cinema. To which he replied that he has never seen oppressive attitude from this industry. [articleBody] => Tovino Thomas, who is quite vocal about his views, recently spoke about the importance of women in the Malayalam Cinema. The actor in an interview with Malayalam Cinema, was asked whether a separate collective for women is necessary in Malayalam cinema. To which he replied that he has never seen oppressive attitude from this industry. He spoke his mind out on the casting couch issue. Tovino replied that it is a matter of choice and that he doesn't think anyone in the industry has the courage to forcefully grab your hands even after one has said no. He further added that the filmmakers have a choice to cast whosoever they want to on the basis of talent, irrespective of outside interests, why should one approach others? The actor also asked if only women are targetted of sexual abuse or even men are subjected to the same. The actor then shared about the incident when a producer asked him for money to being cast in the movie. Tovino asked what should that be called, casting payment? On the work front, Tovino will be seen in his next film Maradona. The trailer of the film released a few days ago and has received a positive response. The trailer is quite engaging and will keep you hooked throughout. With the mesmerizing visuals, the music of the film is also outstanding. Tovino Thomas tries his hand at to woo his love interest played by Sharanya R Nair and it's too adorable. Ee Ma Yau star Chemban Vinod Jose plays a pivotal role. There's an interesting love story with a twist in the store for the audience. Tovino Thomas also has two Tamil movies, Maari 2 and Ondraga and on the other hand, he has Malayalam films are in various stages of production, including Theevandi, Oru Kuprasidha Payyan, Luca. The actor in an interview with Malayalam Cinema, was asked whether a separate collective for women is necessary in Malayalam cinema. To which he replied that he has never seen oppressive attitude from this industry. 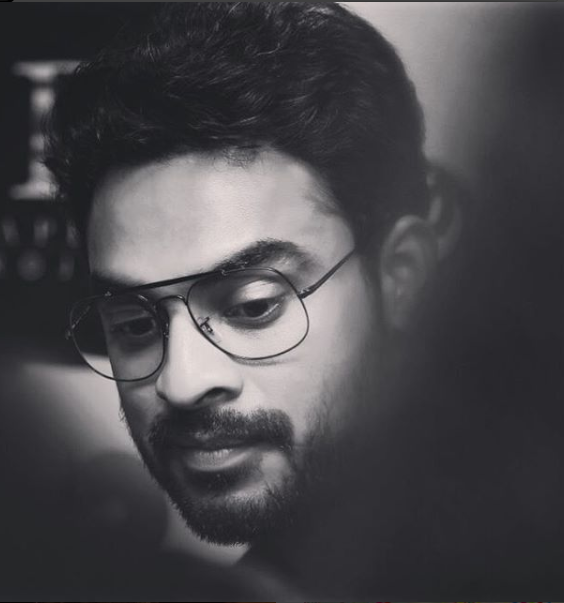 Tovino Thomas, who is quite vocal about his views, recently spoke about the importance of women in the Malayalam Cinema. The actor in an interview with Malayalam Cinema, was asked whether a separate collective for women is necessary in Malayalam cinema. To which he replied that he has never seen oppressive attitude from this industry. He spoke his mind out on the casting couch issue. Tovino replied that it is a matter of choice and that he doesn’t think anyone in the industry has the courage to forcefully grab your hands even after one has said no. He further added that the filmmakers have a choice to cast whosoever they want to on the basis of talent, irrespective of outside interests, why should one approach others? Tovino Thomas tries his hand at to woo his love interest played by Sharanya R Nair and it’s too adorable. Ee Ma Yau star Chemban Vinod Jose plays a pivotal role. There’s an interesting love story with a twist in the store for the audience.